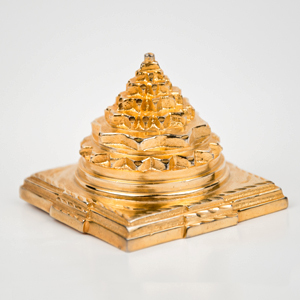 This Pyramid Sriyantra is made on the back of a tortoise of brass. 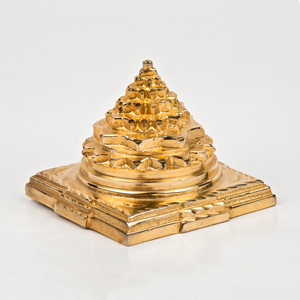 Sriyantra symbolizes abode of gods and tortoise symbolizes long life. 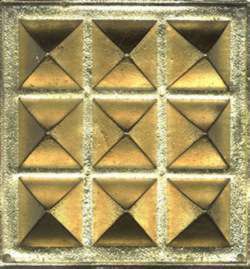 The pyramid multiplies the positive energy. 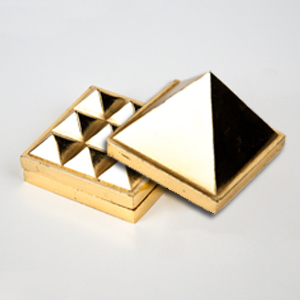 Therefore with the impact of tortoise pyramid the inflow of positive energies with their longer stay at a specific place can be assured. It revitalizes our immune system, brings the blessings of gods, enhances longevity and generates new sources of income. 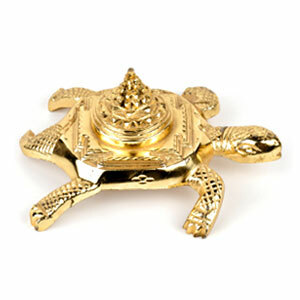 It can be kept at home, bedroom near a sick person, police station, office or at temples. Preferably the mouth of tortoise should face the face of user.